Why do you love fruits and vegetables? Is it their bright colors? 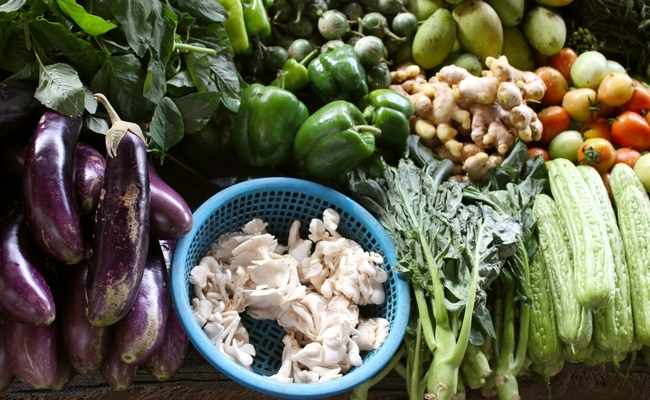 Their many shapes and varieties, the way they can makeover your plate with the seasons? 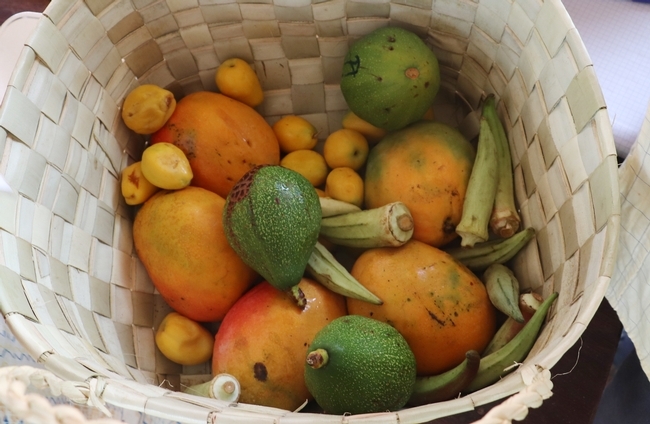 The opportunity to taste local terroir in a very fresh bite of fruit or forkful of salad? Is it more about the juiciness, crunchiness or succulence? Or do you think more about nutrition? About vitamins, micronutrients and fiber, after decades of being encouraged to eat “5 A Day” to be healthy? Is it about that feeling of righteous virtue when you fill half your plate with fruits and vegetables — and know you're earning a gold star for eating right? The importance of eating fruits and vegetables has been making headlines again recently, with studies refocusing on the concept of “nutrition security” in a changing climate and pushing for an emphasis on nutrient consumption. The EAT-Lancet commission — while mostly garnering headlines in the United States related to reduced meat consumption — also recommended a diet that would require almost every global region to increase its consumption of fruits and vegetables to meet healthy diet goals. 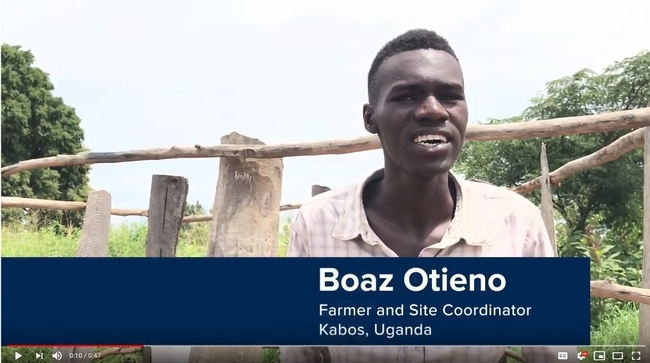 “There's no quicker source of getting money in town,” Boaz Otieno explained, when discussing why he chose to farm instead of going to town to find a job. He also talked about the concept that he could grow vegetables like tomatoes on a smaller plot of land and earn as much for those tomatoes as a larger plot of corn or cassava. "You might even grow (tomatoes) twice while the cassava is not yet harvested, so there's a lot of money in horticulture," he said. Otieno is a farmer who was also working as a site coordinator for a research project led by Kate Scow in Uganda, which was supported by the Horticulture Innovation Lab, the USAID-funded research program that I work for at UC Davis. 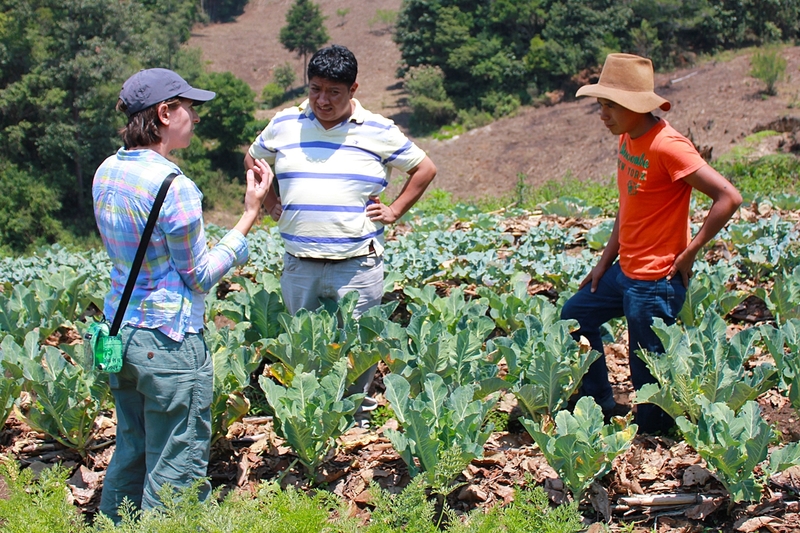 Elizabeth Mitcham, director of the Horticulture Innovation Lab and a UC Cooperative Extension specialist, often talks about the “double-duty impacts” of fruits and vegetables, as these crops can be a tool to achieve two major global goals: improving nutrition and reducing poverty. And it's not just one farmer's opinion that horticultural crops can yield higher incomes. In a white paper about aligning the food system to meet fruit and vegetable dietary needs, the authors pointed out that data from Africa and Asia have shown farmer profits per hectare 3-14 times higher when growing vegetables versus growing rice. The paper also points out that USDA estimates fruits and vegetables account for 23 percent of production value in American agriculture, grown on less than 3 percent of the country's agricultural land. And here in California, fruits and vegetables are a $20 billion industry. Later this month, the Horticulture Innovation Lab will be hosting a conference in Washington, D.C., focused on making the case for fruits and vegetables with the theme, “Colorful Harvest: From Feeding to Nourishing a Growing World.” The conference will bring together decision makers, international development practitioners, and researchers from universities across the United States, Africa, Asia and Central America to discuss how horticultural innovations can advance global issues of food security, food waste, gender empowerment, youth employment, malnutrition, and poverty reduction. While the conference speakers and participants will be diverse, we're also working to bring farmers' voices — like Otieno's — into the conference with video clips from our partners in Nepal, Honduras, Rwanda and elsewhere, to explain what exactly it is that makes them love fruits and vegetables. 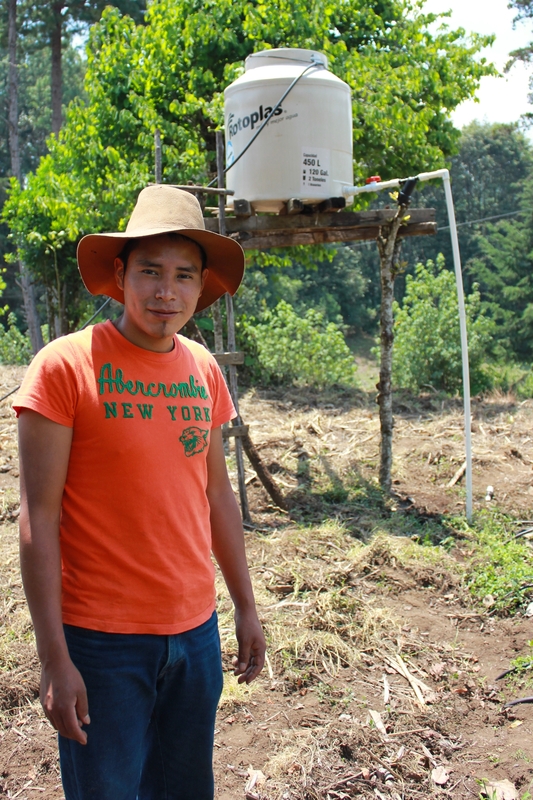 Connecting 9,000 rural households in Guatemala with improved water management and climate-smart agriculture strategies is the goal of a new project led by a team at UC Davis, to ultimately increase food security and reduce poverty in Guatemala's Western Highlands. Called MásRiego (“more irrigation”), the project aims to increase farmers' incomes and their use of climate-smart strategies, including drip irrigation, rainwater harvesting, reduced tillage, mulch use and diverse crop rotation. To enable farmers to adopt these new practices, the team will not only provide trainings but also build partnerships to increase farmers' access to needed micro-credit financing and irrigation equipment. The new project is part of the U.S. government's global hunger and food security initiative, Feed the Future. The project represents an additional $3.4 million investment in the UC Davis-led Horticulture Innovation Lab by the U.S. Agency for International Development's mission in Guatemala. The project's international team also includes representatives from Kansas State University; North Carolina Agricultural and Technical State University; the Centro de Paz Bárbara Ford in Guatemala; Universidad Rafael Landívar in Guatemala; and the Panamerican Agricultural School, Zamorano, in Honduras. The new MásRiego project will focus on helping farmers, particularly women and youth, grow high-value crops on very small plots of land (200 square meters minimum), in the Quiché, Quetzaltenango and Totonicapán departments of Guatemala's Western Highlands. By partnering with local youth groups and agricultural schools, the team will better prepare students for jobs in commercial agriculture and agricultural extension with knowledge of climate-resilient conservation and water management practices. As rainfall patterns vary with climate change, farmers in this region are expected to face increased competition for water. Practices such as rainwater harvesting, drip irrigation and conservation agriculture will become more necessary for small-scale farmers. In previous research, the Horticulture Innovation Lab has found that combining drip irrigation with conservation agriculture practices can successfully grow vegetables on small plots of land, without significant yield reductions. These practices improve soil structure, moisture retention and soil health. Additionally, women farmers who participated in the Horticulture Innovation Lab studies in Cambodia, Honduras and Guatemala favored using these practices for another important reason: reduced labor in relation to controlling weeds, vegetable bed preparation and manual watering. These lessons, as well as findings from the program's “Advancing Horticulture” report about horticultural sector growth in Central America, lay the foundation for this new project. A previous version of this article was published by UC Davis News Service and on the Horticulture Innovation Lab blog. Curious about partnering with the Horticulture Innovation Lab? The Horticulture Innovation Lab builds partnerships between agricultural researchers in the United States and researchers in developing countries, to conduct fruit and vegetable research that improves livelihoods in developing countries. The program currently has three research grant opportunities for U.S. researchers: one focused on tomatoes, another on apricots, and a third on integrated crop-livestock systems. The day for collectively taking action against global hunger is still two months away. But September and October are already shaping up as “world food months,” with a number of events connecting Californians to their food systems and the world's food challenges. 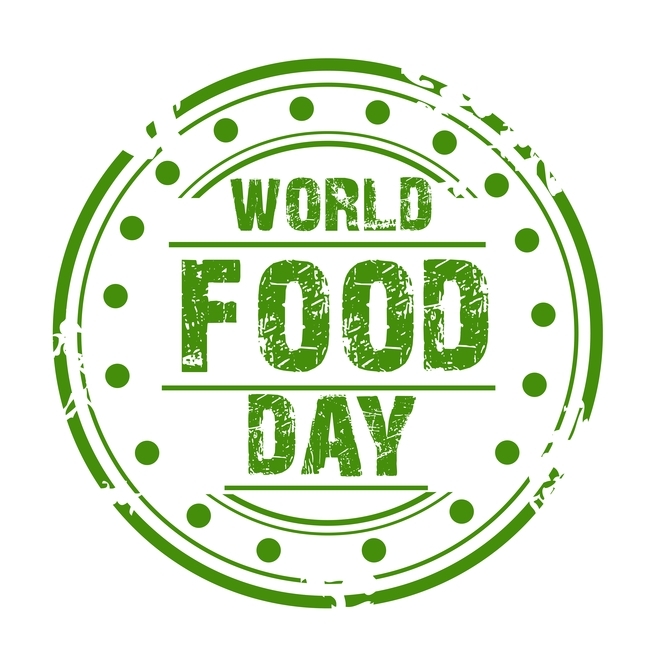 The World Food Center at UC Davis is kick-starting the World Food Day spirit of building awareness around solutions for ending hunger. In partnership with the UC ANR Nutrition Policy Institute and the UC Global Food Initiative, the Center launched a video contest for students across the 10 UC campuses—including extension offices and health systems—to capture stories on UC research related to food or nutrition security, as defined in the second of the UN's Sustainable Development Goals. Students can win up to $1,000 and a paid trip to the World Food Prize International Symposium. The deadline is September 7. Combining World Food Day with the FAO's celebration of pulses for being a sustainable protein source, the agriculture and SecureNutrition groups at the World Bank are teaming up with the World Food Center to host a talk on the role of legumes in nutrition, climate-smart agriculture and serving low-income countries. Douglas Cook, director of the Chickpea Innovation Lab at UC Davis, will deliver the presentation, which will be streamed online as well, on October 6. Speaking on the need for ensuring the world's neediest receive not only enough food, but the right food, World Prize laureate Catherine Bertini will deliver a public lecture in honor of World Food Day. The World Food Center is hosting Bertini at UC Davis on October 10, also with livestreaming available. 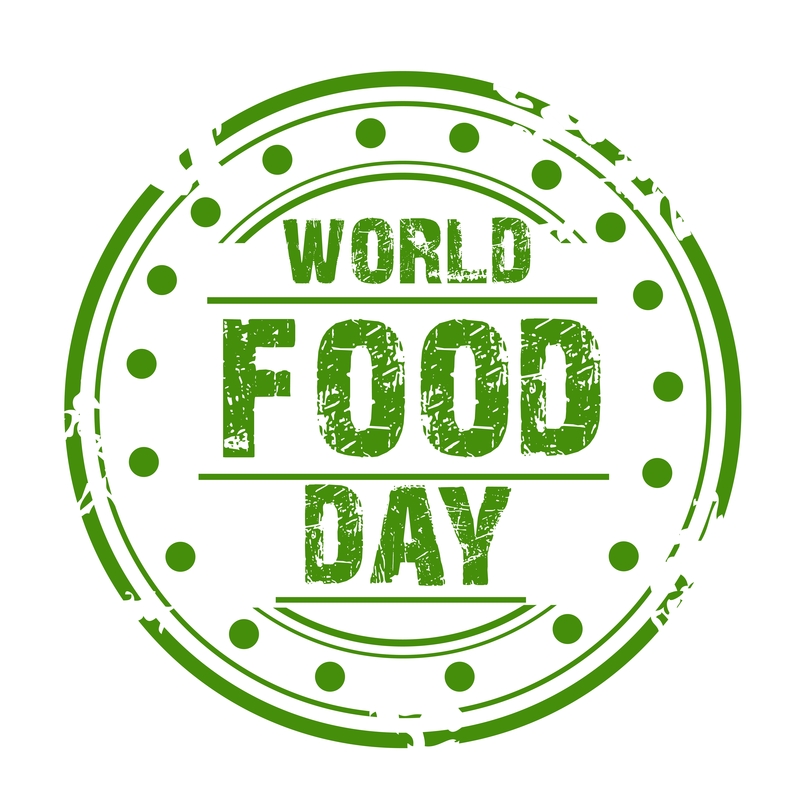 The winning submissions for the World Food Day Video Challenge will be showcased ahead of the lecture. Known as the “Borlaug Dialogue,” the World Food Prize International Symposium is the most prestigious gathering in food and agriculture. Beth Mitcham, head of the Horticulture Innovation Lab at UC Davis will speak at the symposium, while the World Food Center is again organizing a panel discussion, this time focused on measures of progress for nutrition security and featuring leaders from the FAO, the US Agency for International Development and the International Food Policy Research Institute. In past years, World Food Prize laureates have included researchers from UC San Francisco, UC Berkeley and UC Davis. The symposium is held in Des Moines, Iowa, on October 12-14, and will be livestreamed as well. 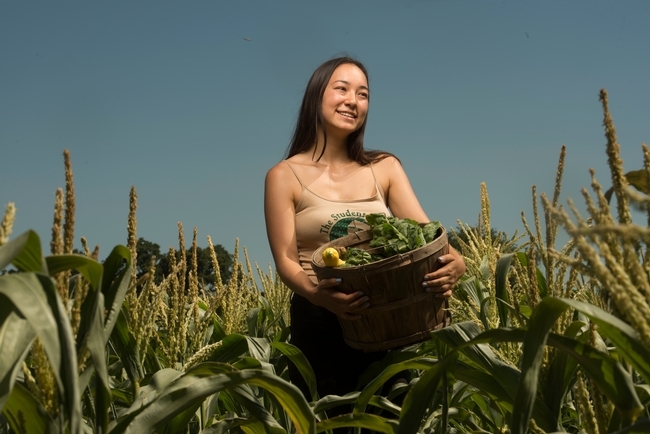 While not directly connected to World Food Day, Sacramento's annual Farm-to-Fork celebrations have locals tipping their glasses to the close connection Californians share with the nation's top ag economy. Tastings, farm tours, food drives and street festivals span the month of September. The Farm Tank conference, meanwhile, is partnering with UC Davis and the Farm-to-Fork organizers to expand the foodie dialogue with a list of speakers ranging from corporate chefs to food reporters and UC ANR's chief information officer, Gabe Youtsey. The event also takes place in Sacramento, on September 22.